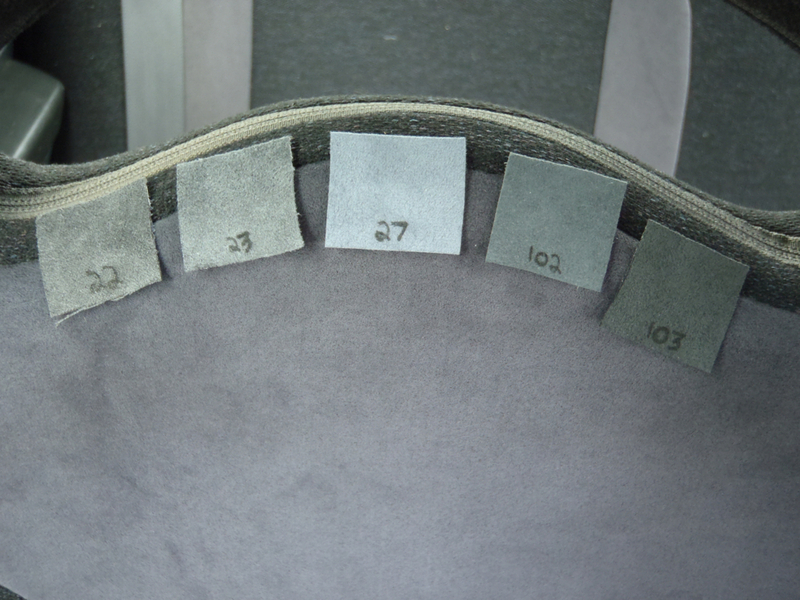 We have a few options for matching the gray suede on the Version 1-6 seats of the Japanese STi. Please keep in mind that it is extremely unlikely to ever get a 100% color match between a factory color and aftermarket suede. However, all of these colors are very close in color and the pictures make the color differences appear larger than they really are in person. If you are very picky, please order samples! Note: Once you install door panels or other interior products, any minor color difference will be virtually 100% unnoticeable since the colors are not right next to eachother. Our Suggestion: If cost is an issue [#22 M.W. Suede- JDM Gray] is your best bet. 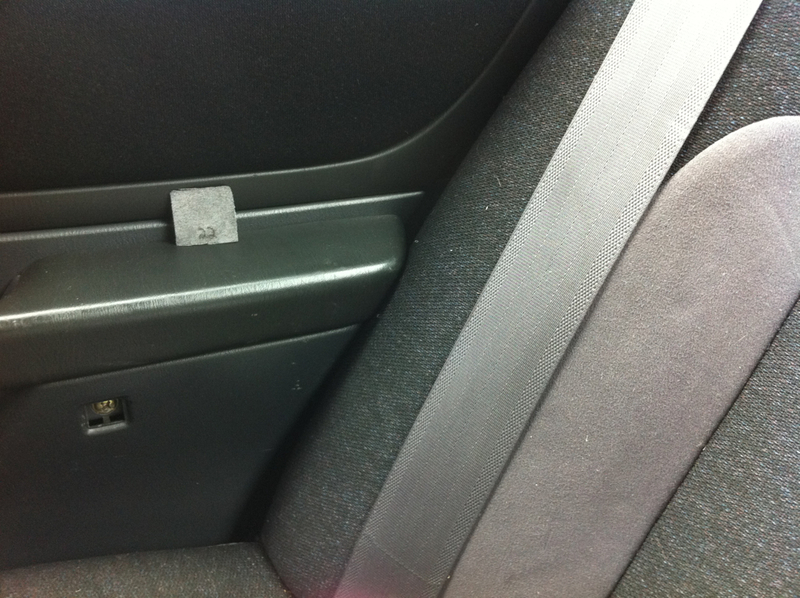 This material is less durable than Alcantara. 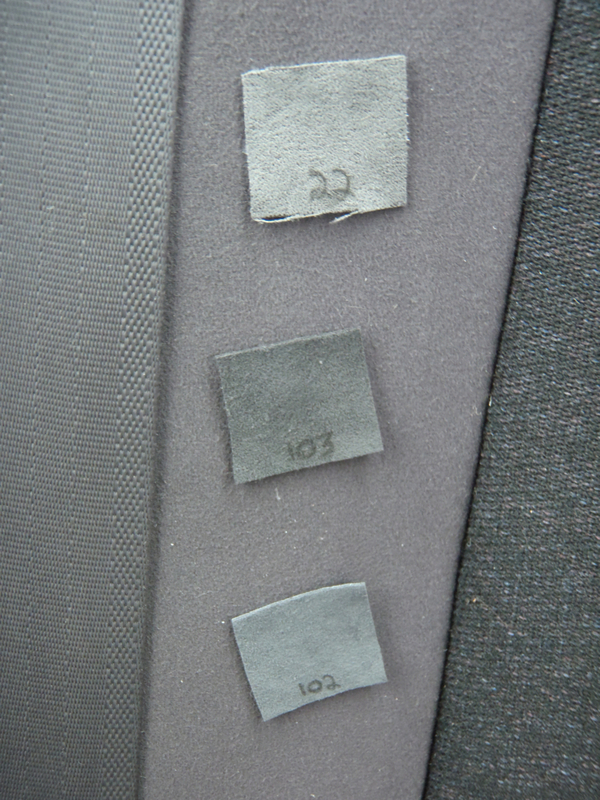 For those looking for premium quality materials, #102 charcoal is 1 shade lighter than the actual JDM seats, while #103 is 1 shade darker than the JDM seats. Our favorite is the #102 since it is brighter. 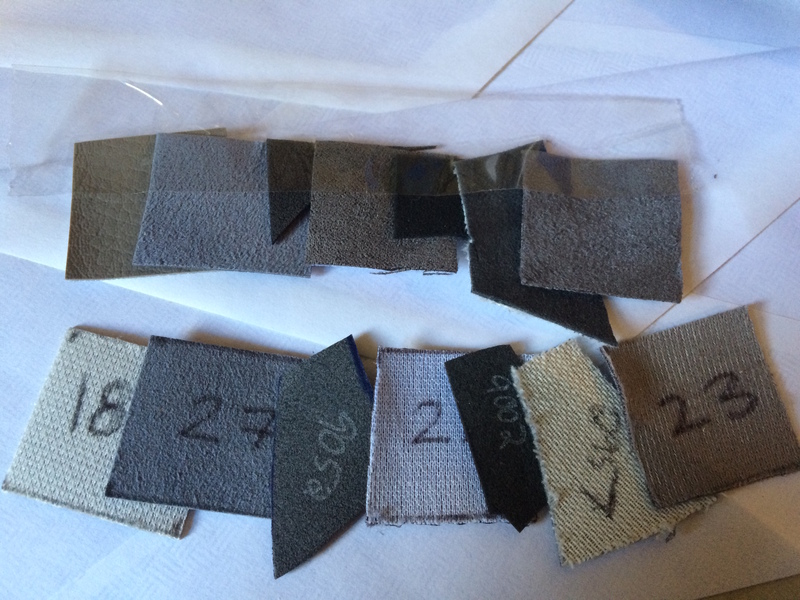 Above: This photo shows our gray suedes. In person, all 4 shades are much closer in color. 2. #27- I have enough for a door panel kit of this material. 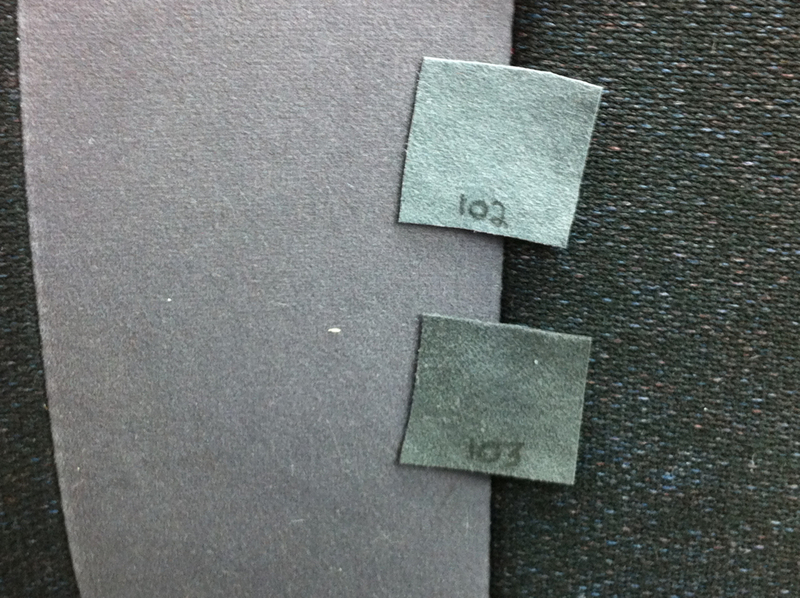 It is Ultrasuede, so should be the same price as Alcantara. 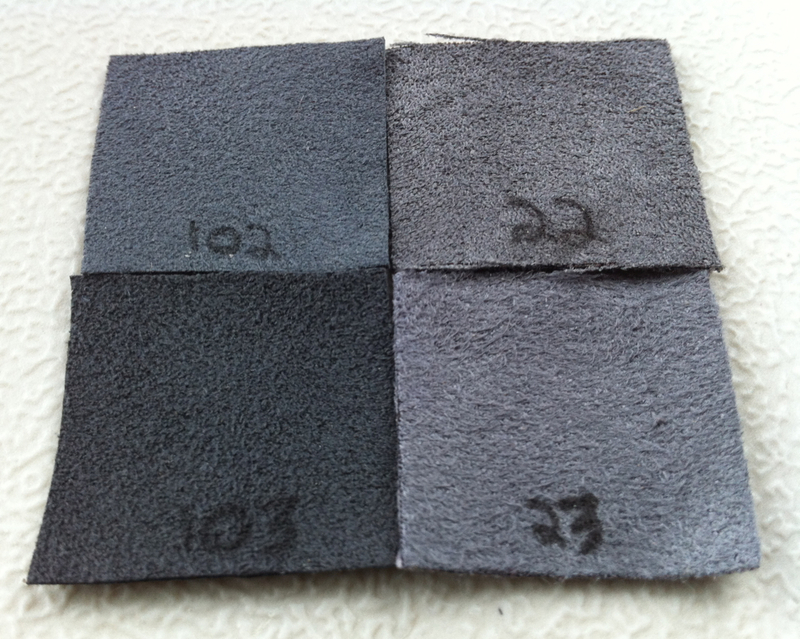 But if you select the H20 suede ($5 more) and include a note, that will upgrade you to the Ultrasuede. 4. #22- MW Gray. 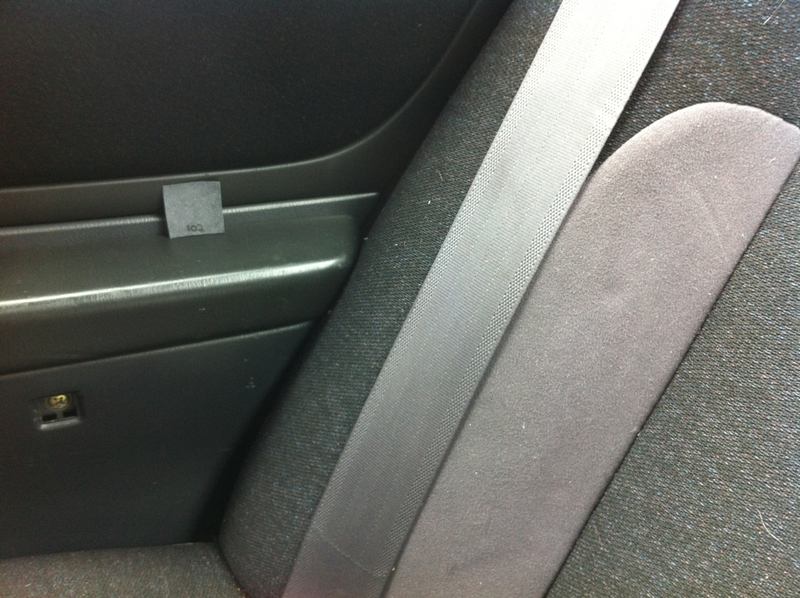 Good JDM match, standard price, not thick enough for an armrest, but thick enough everywhere else. 5. 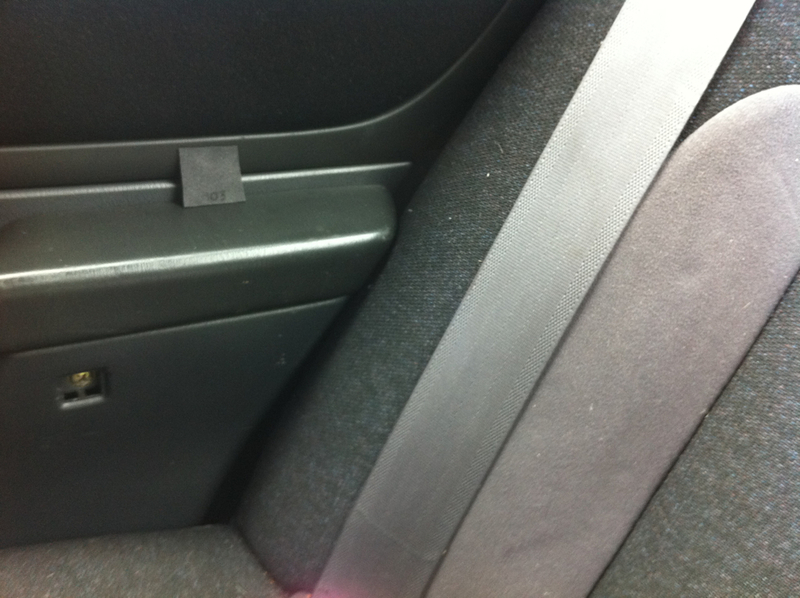 #9002- Near black Alcantara. On sale- 20% off regular Alcantara prices. 6. #2957 / 102- Alcantara cover- Same Alcantara as the other two, it just has the white backing to make it suitable for seats. 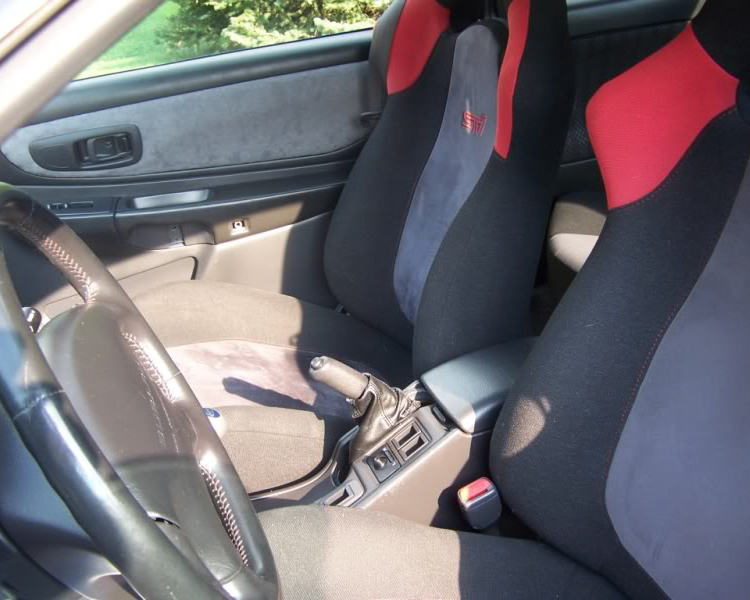 Generally, either material can be used for anything, except seats require cover weight. 7. #23- H20 suede. This is a good bang for the buck material. Standard cost, good quality.